Gorgeous images, happy weekend dear! LOVE! Nice find my darling. I would love to move into this place. 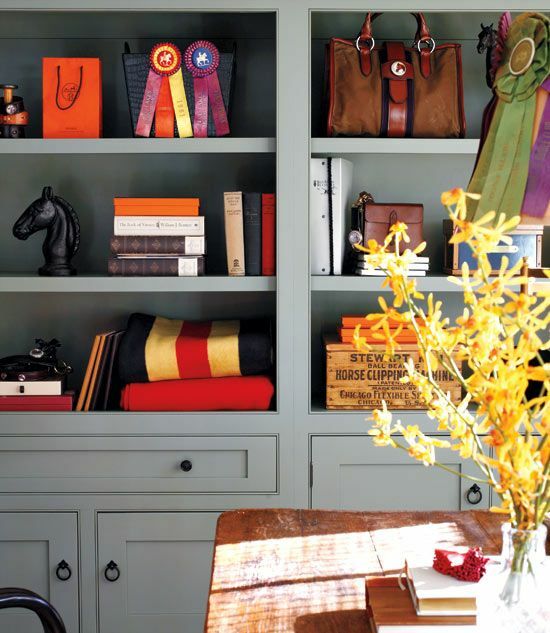 Mmmm, love me some equestrian and orange -- saddle up! As a former equestrian these photos wanted made me want to don my breeches again. So warm and inviting. I LOVE the legs on that table; have never seen anything like it before. Oh and those puppies! Thanks for the great pics! Quite inspirational. 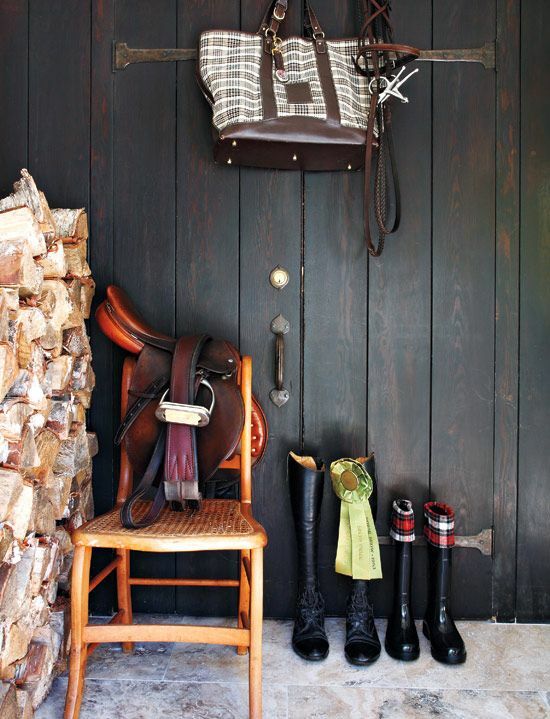 This looks so classy and put together I just couldn't pull equestrian off this well. But I am inspired...THanks! 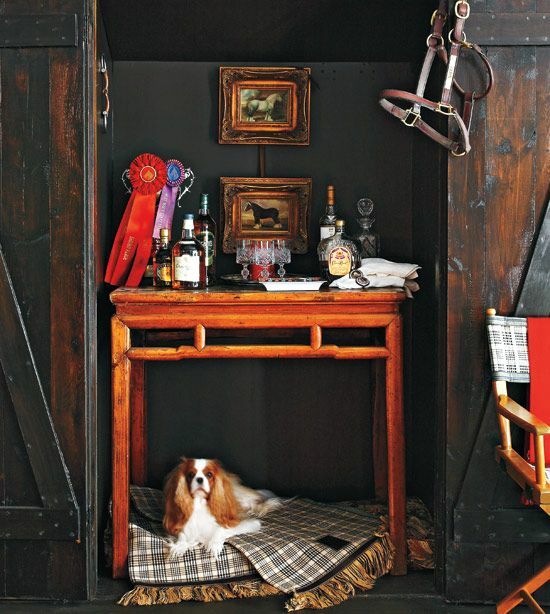 great images and I am dying for a King Charles Cavalier so that one I am in love with! does that first image have boots on the front legs?! crazy. Love it! 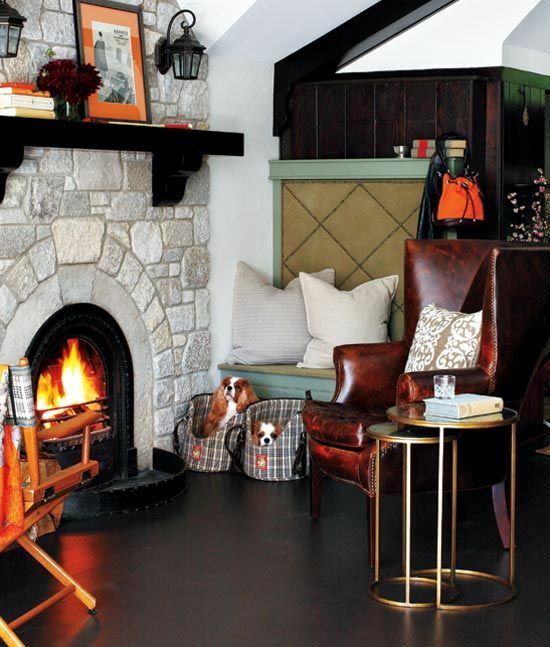 What an interesting and well-designed equestrian space! It has such an original look, love that. Thanks for sharing! Thanks for sharing this beautiful space, the styling is stunning and the autumn colour palette gives the house such a wonderful warmth! Oh boy Oh boy. I am a complete sucker for equestrian and orange! New follower here!! LOVE your blog, and love these images!! You really are a supermum, triplets and twins!! WOW!! I have twins and a singleton and that keeps me busy enough!! Good on you, looking forward to following you! so stunning, I love that green paneling color. 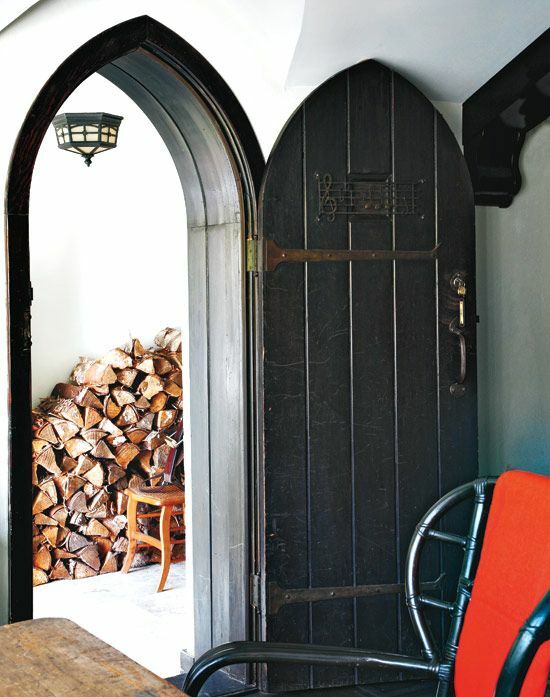 i love that door and all the beautiful dark wood!